Late Friday night (11:53 PM), Company 11 was alerted for a House Fire in the 4800 block of Churchey Rd in company 1’s (Sharpsburg) first due area. Units from company 1 arrived to find heavy fire conditions in the structure. 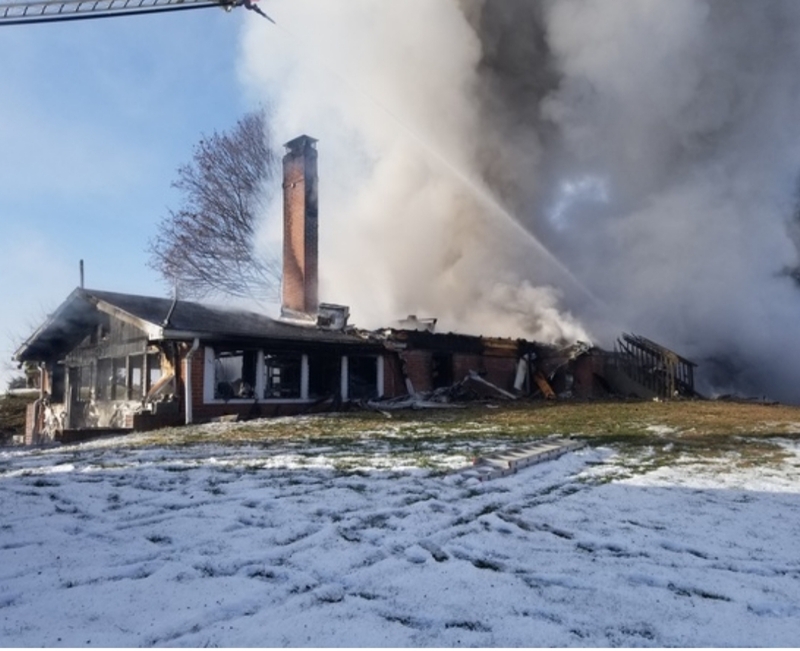 Company 11 responded with multiple units (Engine-Tanker 11, Engine 11-2, Engine 11-1, Utility 11 and Support 11-7) Chief 11 (Chief R. Otzelberger Jr) was assigned “Water Supply Officer) at the bottom of the drive way, Engine-Tanker 11’s driver (Engineer B. Hunter) dropped ET11’s water and joined in the Tanker Shuttle hauling water from a fire hydrant in the Town of Sharpsburg 2 miles away, the rest of company 11s crew under direction of Assist. Chief 11 (J. Martin) assisted with “Fire Attack”. Crews worked throughout the night into the early morning with temps in the low teens to extingush the fire.